Through the magic power of Twitter, we somehow acquired the services of our very own intern. We even pay him in potato chips. Filosofer will occasionally stop by with a post and you can follow him at @Filosomesa. The debut features a trip to a Triple A game. And I agree with the experience, well, except for the country music. Since this is my first official post, I figured I'd give everybody a better idea of who I am. Then I realized that I'm not all that interesting a person and you guys would much rather hear about baseball than me. So I'll give you a recap of the first minor league game I attended instead. It was a Nashville Sounds game. Now I know a lot of people don't like minor league stuff because it's usually more gimmicky, but a giant guitar shaped scoreboard is pretty damn cool. Their playing of country music was pretty awesome too. Now, I'm mostly into rock of various varieties, but there's a fair amount of country in my library as well. If you don't like country music, well... What the hell would you be doing in Nashville anyway? Anyway, if you haven't been to a minor league baseball game yet, you need to go. I paid $12 for my ticket. Do you want to know where I sat? Front row, right behind the screen. And that's because that's where I chose. For $12, I could have chosen pretty much ANY seat in the stadium. If I'm going to complain about anything at the game, it would be the bugs. I have a slight (read: huge) fear of bugs, and they were EVERYWHERE. On the other hand, this was Nashville, so if I have a slight (huge) fear of bugs, what the hell am I doing in Nashville anyway? 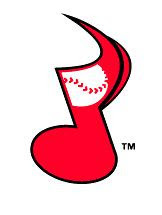 Now, I'm a subscriber to Triple A being a fairly dull league player-wise. It seems to me that those are either the prospects who were close but not good enough, or were good enough but are washed up now. So if you want big or soon-to-be big name players, Triple A isn't for you. I, on the other hand, could care less. Let's face it, one of my major hobbies is simulating baseball games through a variety of media. If there's baseball, I'm excited. To speed this up, the Sounds won. Would I have cared if they lost? Maybe. Like I said, I'll watch anything, so I try not to cheer for one team too much. Anyway, in the future I'll make some real posts. Until then, well, do whatever it is you do.